The Ministry of Civil Aviation and Tourism will be holding international tourism fair in the city from this year to highlight the progress of the country as well as its beauty, to establish it as an attractive tourism destination. Rashed Khan Menon, Minister for Civil Aviation and Tourism said, tourism is no longer limited to seeing countries. Religious tourism, Halal tourism, cultural tourism and health tourism have made it a flourishing industry. Over 1.2 billion people travelled to different countries of the globe in 2015. 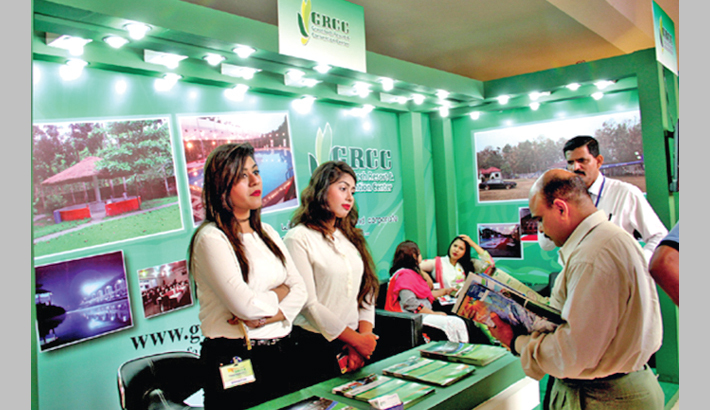 The holding of the fair will help in attracting some of them to Bangladesh. The minister said this while launching “The Travelogue” newsletter of Bangladesh Parjatan Corporation (BPC) at Surma Hall of Pan Pacific Sonargaon on December 17. Menon expressed his dismay at the issuance of travel alert, by some countries, adding, these are against Chicago Convention. Travel advisories have to clear and for certain period of time. He requested these countries to lift their travel alerts. Presided over by Akhtaruzzaman Khan Kabir, Chairman, BPC, the event was also addressed by KM Abdus Salam, Managing Director, HIL, Shihidul Islam, Director, BPC, Dr Rashidul Hasan of University, Kazi Wahidul Alam, Editor, The Bangladesh Monitor, Shahabuddin, Editor, Travel World, Shahid Hamid, President, PATA Bangladesh Chapter, Taufiq Rahman, CEO, Journey Plus and Masud Hossain, Managing Director, Bengal Tour, spoke on the occasion. The inaugural issue contains travel blog on Saka Hapong, the highest peak in Bangladesh, write-ups on wilderness of Patuakhali and law to protect the rights of the tourists, some recipes and interview of a tourist.